To make a speaker company successful in today’s market, you can’t spin out me-too products, even if you’re Sandy Gross -- cofounder of Polk Audio (1972), cofounder of Definitive Technology (1990), and now founder of his third speaker-making endeavor: GoldenEar Technology (2009). Even a guy like Gross doesn’t have the pull to slap a badge on a copycat two-way and expect it to sell. As a result, GoldenEar’s Aon 3 loudspeaker looks decidedly different from any other two-way I’ve seen, and employs a number of design features that I’ve not only never seen around its price of $999.98 USD per pair, but never seen, period. But does being different mean that the speaker will sound good? Because I wanted to learn the answer to that question, I decided to review this innovative and inexpensive loudspeaker. Each Aon 3 measures 14"H x 9"W x 11"D , weighs 20 pounds, and has some familiar features -- most noticeable is a sturdy MDF cabinet shrouded on four sides by cloth, and capped on top and bottom with what look like pieces of high-gloss black wood but are actually plastic. To some, a cloth-covered cabinet might seem an earmark of a Definitive Technology design; to me, it harks back to how Mirage and Vandersteen were building speakers long before DefTech came along. 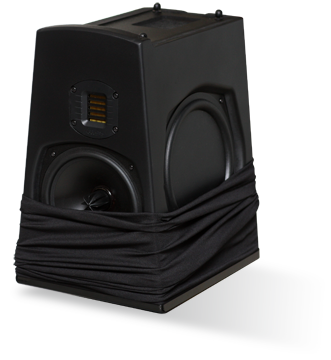 What’s novel about the Aon 3 are the shape of its cabinet -- a trapezoid when viewed from the front -- and the marriage of GoldenEar’s High Velocity Folded Ribbon (HVFR) tweeter to their 7" midrange-woofer, which features a cast basket and GoldenEar’s unique-looking Multi-Vaned Phase Plug (MVPP), and to two side-mounted, 8" passive radiators. Trapezoidal speaker shapes occur every now and again, but I’ve never seen this kind of driver complement used in any two-way design, even in those costing quite a bit more (if someone else has tried it, I missed it). The cabinet shape, which Gross calls a "truncated pyramid," is a mixture of form and function. First, the functions: This sort of shape creates an interior space with nonparallel walls, which helps to reduce standing-wave reflections between the walls. 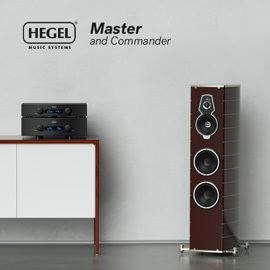 If someone chooses to place an Aon 3 on a bookshelf and jam one of its sides against the left or right wall, the tapered shape will still allow the output of that side’s passive radiator to escape. 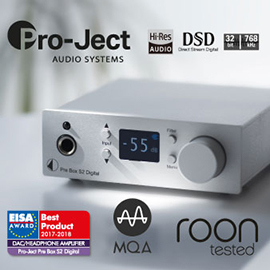 The company has designed the Aon 3 to be used on a stand or a shelf, with very good sound either way. 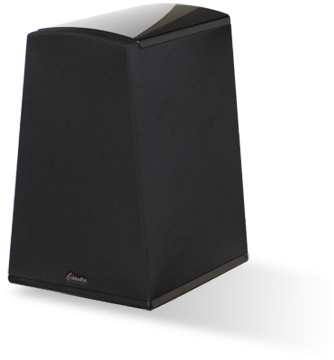 As for form, the angled sidewalls make this otherwise rather basic-looking speaker appear less pedestrian than the usual rectangular box. Still, the Aon 3 is unlikely to win any styling awards. At best, people will like its shape, but I can’t see any but a few falling in love with it -- it’s a bit too squat to be considered elegant. To learn more about the novel driver set, I popped off the Aon 3’s top cap (it came off fairly easily, without damage to it or the cabinet), untied the top of the cloth, and pulled it as far down the sides as I could. The cabinet looked better than I’d expected, given that it’s designed to be covered with the cloth at all times, and the drivers seemed of good quality and bolted securely in place. In short, the Aon 3 is well built. What struck me as downright odd was that I could see that the tweeter was slightly offset to one side. When I asked GoldenEar why, they said, in a nutshell, that it’s to minimize edge diffraction, which is what occurs when soundwaves travel not only directly out from tweeter to listener, but also along the cabinet’s surface, until they reach some obstruction and bounce off that. A speaker’s edge is just such an obstruction. Diffraction can usually be seen as a ripple in the plot of a speaker’s frequency response; the size of the ripple indicates the severity of the diffraction. 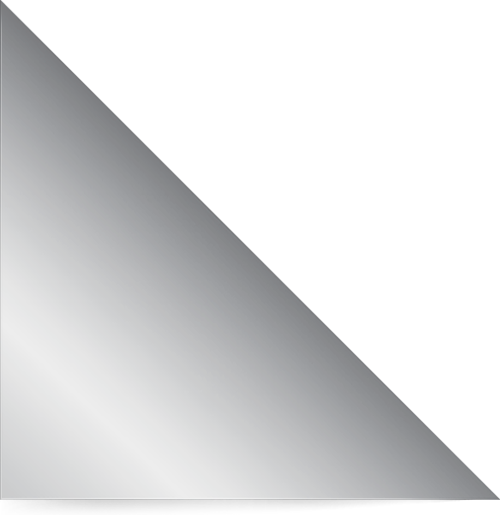 When a tweeter is equidistant from both cabinet edges, the diffraction effect is exaggerated: the reflected soundwaves from left and right combine equally and reinforce each other. With different tweeter-to-edge distances on each side, diffraction still happens, but at different frequencies on each side; the soundwaves thus don’t reinforce each other, which results in smoother overall frequency response. GoldenEar’s response to my question seemed a good sign; it indicated that the designers took the Aon 3’s acoustic performance very seriously, despite its being a relatively low-priced speaker. With all that surface area taken up by drivers delivering bass, it was obvious to me that one of the design goals had to have been to get deeper, fuller bass from a modest-size enclosure. 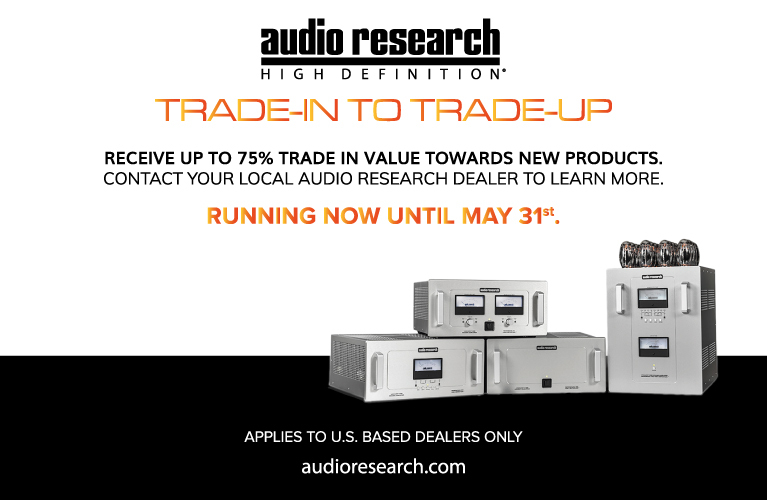 GoldenEar’s supplied frequency-response specs indicate as much -- 38Hz is the low point -- and their use of their own HVFR ribbon tweeter made it apparent that they must be trying to offer a somewhat different high-frequency sound from what’s produced by the dome tweeters typically seen in a two-way at this price. Tweeters such as GoldenEar’s HVFR work by pushing and pulling an ultrathin, folded diaphragm, kind of like an accordion. Such ribbon tweeters are known for lightning-fast response times, though they can sound "beamy" if not well implemented. They can also extend very high in frequency -- and GoldenEar claims an upper limit of 35kHz for the Aon 3. 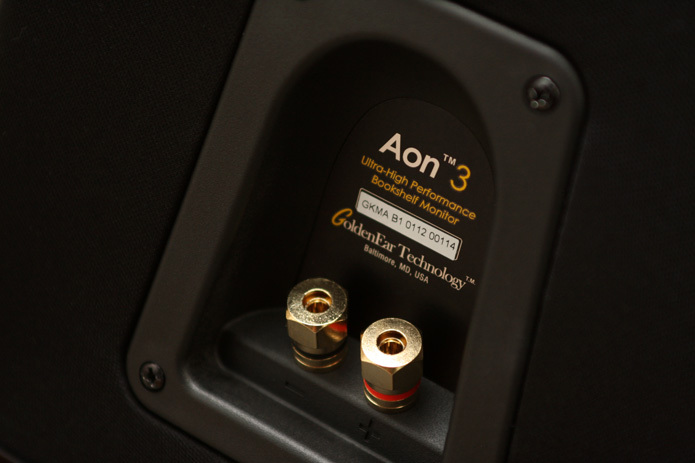 GoldenEar says that the Aon 3’s sensitivity is 90dB (presumably with a 2.83V input and measured at 1m; they don’t specify), and its impedance is "Compatible with 8 ohms." 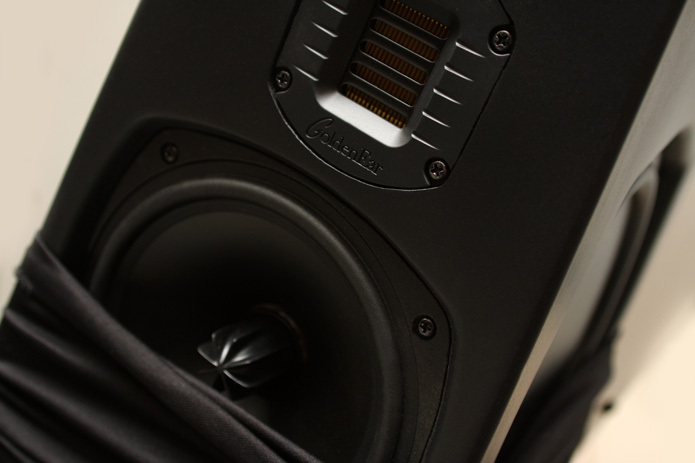 Those figures basically tell you that the speaker is fairly efficient and pretty easy to drive, which is why GoldenEar’s suggested minimum amplifier power is a scant 10Wpc. On the other hand, the upper limit is specified at 250Wpc -- huge! -- though I can’t imagine anyone feeding them that much juice. For most of my listening I used a stereo amp that’s more or less in the middle, the Eximus S1, which provided the Aon 3s with way more than enough power (125Wpc, bridgeable to 500W in mono, though I didn’t try the latter), even in my very large listening room. Sandy Gross was pretty insistent that I listen to the Aon 3s on 30"-high stands, even offering to send me a set if I didn’t have them. That was no problem -- I have several stands, all of different heights, including one 30" pair -- but his emphasis on stand height did make me suspect that the Aon 3 would prove fairly directional; that is, the listening window would be tiny. I quickly learned that Gross’s repeated insistence on a specific stand height and my suspicions about those repetitions were both somewhat overblown -- no matter what kind of music I played, the Aon 3s had a big, ballsy, spacious sound that belied their small size, and a neutral, natural balance that remained consistent as I moved quite far off axis to the left and right, as well as up and down. The Aon 3s didn’t sound highly directional at all, and the soundstage they cast, even outside the sweet spot, was awesomely wide and deep. Eugène Bozza’s Children’s Overture, performed by the Norwegian Armed Forces Staff Band, from our own 2L-TWBAS 2012 Sampler (24/176.4 FLAC, 2L/SoundStageRecordings.com), was re-created in my room with a breathtaking sense of depth -- it extended past the front wall of my listening room, which doesn’t happen with every speaker I review. Image specificity within that stage was also very good; Bruce Cockburn’s voice in "Pacing the Cage," from his The Charity of Night (16/44.1 FLAC, True North), was placed palpably at the center of the stage, as it should be, with no hint of pull or wavering to left or right. None of that changed even when the stands were as short as 26". Sandy Gross’s insistence on 30"-high stands wasn’t all for nothing, though -- that puts the tweeters about 40" above the floor, which falls in the same range as many floorstanders, and at that height the Aon 3s did sound very well balanced. So do try for 30" stands. But if your stands are only 26-28" high, I wouldn’t worry too much. If they’re shorter than that, Gross recommends that you angle the speakers upward a touch, until the tweeters are firing at your ears. The Aon 3’s bass output was strong down to about 50Hz, even with the speakers placed far out into the listening space (at least 5’ from the front and side walls), which is impressive -- I didn’t expect to hear such a room-filling sound from such a small speaker. That sound was also surprisingly tight. The drums on Buena Vista Social Club Presents Omara Portuondo (16/44.1 FLAC, Nonesuch) were recorded with an extra bit of warmth that borders on them having an almost too-resonant character that can sound "bloompy" and slow through speakers with underdamped bottom ends. Through the Aon 3s, the drums sounded as firm and forceful as through any good ported, single-woofer design near this price. The Aon 3s also did a remarkable job of reproducing Ola Gjeilo’s piano in "North Country II," from the 2L-TWBAS 2012 Sampler. The acoustic piano is notoriously hard for small speakers to reproduce -- they rarely sound rich and grand enough, and often even distort the low notes. But the Aon 3s made Gjeilo’s instrument sound fuller, richer, and more convincing than I thought a small, inexpensive speaker could, and I never heard any ill sounds, even when I cranked the volume quite high. 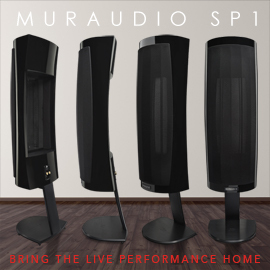 With the GoldenEars placed closer to the side and front walls, reasonable output down to 40Hz was feasible, and should make these speakers sound very full, robust, and satisfying to listen to for most music lovers. If deeper bass is desired or required (as for a home theater), then consider adding a subwoofer; for my listening tastes, though, the Aon 3’s bass was not only more than adequate, it was quite impressive. GoldenEar also has a lot to crow about with the Aon 3’s reproduction of the high frequencies, which were extended yet effortless -- even though I could tell that the topmost highs were raised just a little in level, at least when I listened on the tweeter axis. This was likely a deliberate design choice to make the Aon 3 sound airy and detailed, which it did. This slightly pronounced top end wasn’t a bad thing; the Aon 3 never sounded at all objectionable, even with recordings that themselves border on sounding bright -- e.g., Adele’s 21 (16/44.1 FLAC, XL Recordings) and Norah Jones’s new . . . Little Broken Hearts (16/44.1 FLAC, Parlophone). In fact, I marveled at how effortless and smooth the Aon 3s always sounded way up top, even with these sub-par recordings, and how clean the highs stayed even when I played the speakers very loud. With recordings with a more natural-sounding top end, the Aon 3 sounded out-of-this-world good: smooth, clean, effortless, and without any of the metallic quality that is often a telltale sign of a low-priced speaker with a cheap dome tweeter. When it comes to HF performance, I’d have no hesitation putting the Aon 3 against speakers costing multiples of its price. I was also taken aback at how natural yet detailed the Aon 3’s midrange sounded, and how, at reasonable volume levels, it reproduced even Leonard Cohen’s baritone on the singer-songwriter’s Old Ideas (16/44.1 FLAC, Sony Music Distribution) with just the right amount of presence and texture, but without any chesty or woolly colorations -- no easy feat. The Future (16/44.1 FLAC, Columbia), probably Cohen’s darkest album both sonically and musically, sounded remarkably clear and clean through the Aon 3s. Female voices, such as Portuondo’s, sounded superbly smooth and sultry, and lacked any sibilance whatsoever -- all noteworthy, given the Aon 3’s modest price. The transition from the Aon 3’s midrange-woofer to its tweeter was so seamless that I found no recording that would tell me where or when that transition took place. The speaker’s 8" passive radiators also seemed to only strengthen the bass while producing no ill effects. This proved to me that GoldenEar’s engineers have the chops to marry together disparate driver types very well. 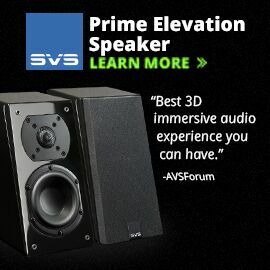 Not all designers have this skill -- I’ve heard far pricier speakers with conventional drivers that don’t blend as well. Hats off to GoldenEar for accomplishing all this at such a low price. None of this is to say that the Aon 3 is the perfect performer -- it fell short in a couple of small areas. First, it went deep in the bass, but it couldn’t go ultralow (i.e., below 40Hz), which no one should expect from a speaker of this size and price. Second, although the Aon 3s played quite loud without strain -- obviously, a good thing -- its otherwise clean lower midrange began to sound a little congested and woolly at above-normal listening levels, making male voices sound slightly resonant and drums less distinct. When this happened, the Aon 3 also sounded dynamically constrained, losing the incisiveness it displayed at more reasonable volumes. Considering that this is a small speaker intended to be used in rooms of small to medium size, that’s not much of a constraint. I found the styling of GoldenEar Technology’s Aon 3 so-so, and its build quality is merely appropriate for the price; in those areas, the speaker doesn't really shine. But the Aon 3 excelled at what most matters to audiophiles: sound. 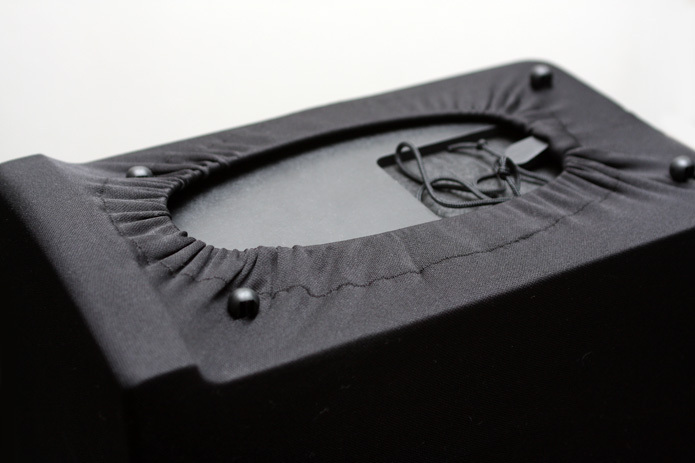 Through clever engineering, the GoldenEar designers have created a speaker that plays bigger than its compact enclosure suggests, and sounds far more natural, detailed, and refined than most would think possible, given the low price and disparate drivers. 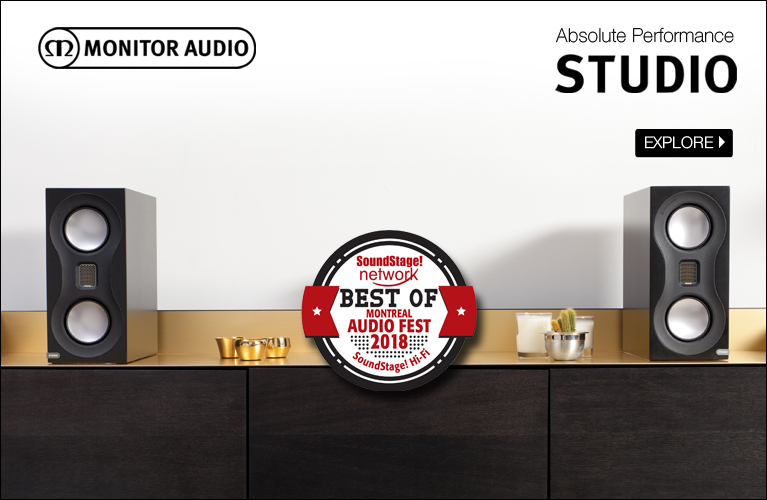 I could praise many of the Aon 3’s qualities -- its effortless highs and ample bass, its finely detailed and natural midrange, its astonishingly spacious soundstage -- but what bowled me over was how well the outputs of its tweeter, midrange-woofer, and passive radiators integrated to create a big yet sophisticated sound that can compare with those of well-designed speakers at much higher prices. All told, GoldenEar’s innovative twist on the typical two-way not only helps to distinguish the Aon 3 in a crowded speaker marketplace, it may have upped the ante for the kind of sound consumers can expect for 2¢ under a grand. It also proves that being different can produce something better -- when it’s done right.